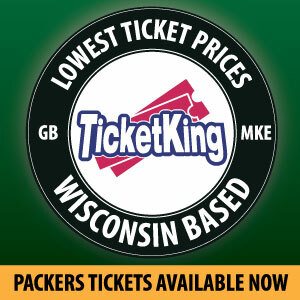 It’s still another seven weeks until training camp starts for the Green Bay Packers. However, with a full 90 man roster assembled, players are already beginning to vie for a final roster spot during OTAs and next week’s mini camp. While the majority of the summer program remains (and more surprises such as the release of punter Jacob Schum are sure to happen), it’s an interesting time to consider who might comprise the final 53 man roster that the Packers will take into the 2017 season. Joe Callahan made some great throws last preseason, but it’s hard to imagine the Packers stashing three QBs on the roster. Many might think that it is unlikely that the Packers keep four running backs alongside Ripkowski at fullback. However, I think that the lack of experience at the position along with mild concern regarding Montgomery holding up as a primary runner over an entire season warrant keeping an extra back. A lot of attention has been given to Williams and Jones, but keep an eye on Mays (or, alternatively, William Stanback) as a bruiser who may make a serious push for carries. In what will likely be the most talked about position battle this year, there will be surprising cuts. The Meme Lord Jeff Janis’ days will finally run out in Green Bay (and perhaps begin in Detroit or Minnesota). So will last year’s fifth round pick Trevor Davis, who may be the most unanticipated cut on the entire team. The position is deep and Davis showed little promise last year. 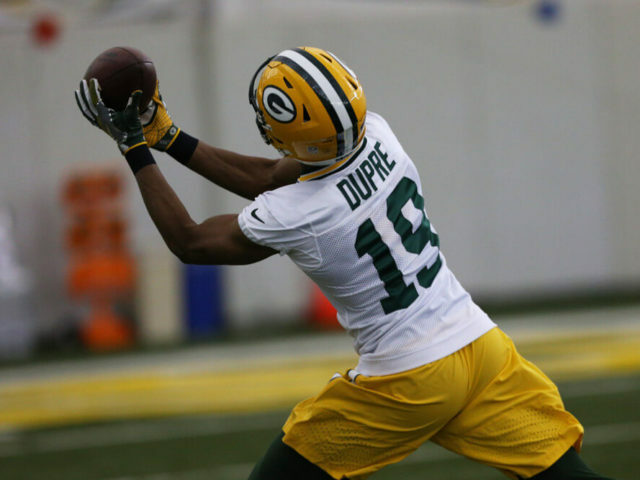 Dupre beats him out in camp and Davis is immediately signed to a roster elsewhere. Free agency flipped a position of weakness to one of the most formidable groups in the league. Richard Rodgers is a fantastic third tight end. The final spot here likely comes down to Patrick or seventh round pick Kofi Amichia. The edge goes to Patrick who spent last season with the Packers learning Mike McCarthy’s offense. For better or worse, Barclay will be given a chance to win the starting right guard position. I think that the Packers will let Letroy Guion walk at some point as he’s facing his second suspension in two years. If for some reason they keep him, Ringo will get the boot when Guion returns. Even with the likelihood of Morgan Burnett and/or Josh Jones stepping up to play a hybrid LB/S position, the Packers will keep around Joe Thomas. He’s shown a lot of improvement as a run stopper after already establishing himself as a capable third down inside linebacker. This group is relatively sparse (many will expect the Packers to keep six here), but it’s clear that Ted Thompson and Dom Capers have a lot more confidence in both Elliott and Fackrell to make a big jump than fans do. Hawkins provides good depth to a position which was injured and inept in 2016. Rollins’ job isn’t on the line yet but, without serious improvement, it might be next year. The Packers keep five safeties with Burnett and Jones likely to play at multiple positions. Brice will see a lot of snaps this year. Evans provides good depth at safety and emergency depth at cornerback. After Crosby, anything could happen with these other two positions before now and the start of the season. Vogel looks like he has the leg to stick around but the punting situation has been a carousel as the Packers continue to search for stability. This entry was posted in Authors, Packers 2017-2018 Season, Seasons, Taylor O'Neill and tagged 53, Devante Mays, Don Barclay, Final Roster, Green Bay Packers, Jeff Janis, Joe Thomas, Josh Hawkins, Josh Jones, Kofi Amichia, Malachi Dupre, roster, Trevor Davis. Bookmark the permalink. you only have 5 OLBs listed, who is the 6th? That was a mistake. I’ve changed it now to say just five. Thanks for spotting it. If they were to keep a 6th, my guess is that it would be Reggie Gilbert. I really think they should have signed Connor Barwin or Elvis Dumervil. They may still be out there after cutdowns. Barwin can still play. The Jets just released David Harris a 33 year linebacker who can still play. The Packers need to take a look at him.